Cattle rancher, MLA (1875-1878), MLA (1878-1879), MLA (1886-1888), MLA (1888-1892). 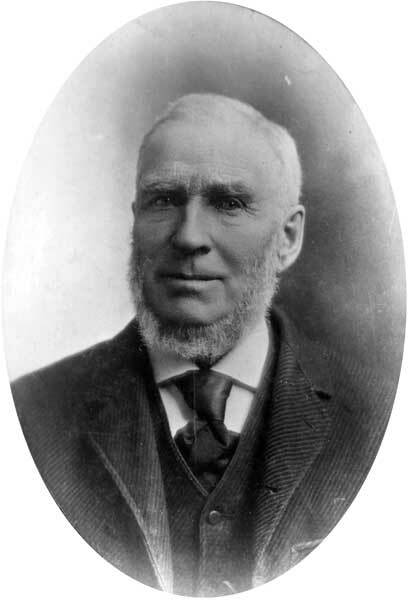 Born at Invernesshire, Scotland on 5 January 1822, the second son of John McKenzie, he was educated at Common-bridge, Ross-shire and at Dunfermline Academy. On 12 December 1844, he married Jane Condy, eldest daughter of Adam Condy of Bartonville, Ontario. They had eight children, including James McKenzie and Jean McKenzie (wife of J. D. Gillies). He came to Red River around 1867 and settled with his family on the banks of the Rat Creek near Portage la Prairie in 1869. He was an English delegate to the 1870 Convention of Forty from St. Mary’s. In 1873, he and Walter Lynch brought the first herd of registered shorthorn cattle to Manitoba. He was President of the Provincial Agricultural and Arts Society of Manitoba, the Marquette St. Andrews’ Society, and the Marquette Agricultural Society. He was the first postmaster at Burnside, and the first President of the Portage Mutual Insurance Company. He died at Victoria, British Columbia on 5 April 1911 and was buried in the Burnside Cemetery. He was inducted posthumously into the Manitoba Agricultural Hall of Fame. “For prohibition,” Manitoba Daily Free Press, 13 April 1892, page 5. “A grand old man has passed over to the silent majority,” Winnipeg Tribune, 6 April 1911, page 1.